I don't care if Trump plays golf. What I do care about is the hypocrisy of those who deemed Obama "Golfer in Chief" and constantly blasted him for playing so much, yet defend Trump's playing. In 8 years Obama played a total of 333 rounds of golf. In a mere 400 days in office, Trump played 100 rounds of golf, at a cost of 2 million dollars per trip for travel and security. If Trump were to serve 8 years and continue to at golf at his current rate, he will have played 730 rounds of golf, at a cost to taxpayers of 1,460 million dollars. Trump is playing more than twice the amount of golf that Obama did, and Trump himself relentlessly blasted Obama for golfing, and even said if elected, he'd be too busy working to play golf. The hypocrisy from Trump and his supporters is overwhelming. And no, I'm no Obama/Hilliary supporter, or a liberal. 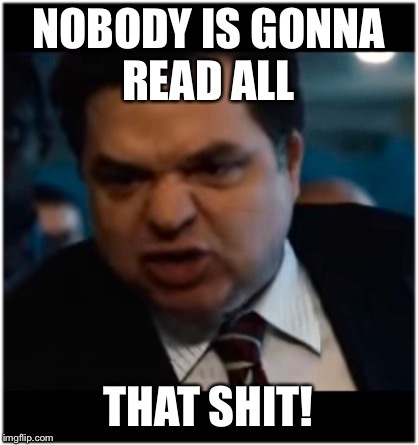 But I am intellectually honest enough to apply an equal standard of criticism to Trump and Obama. 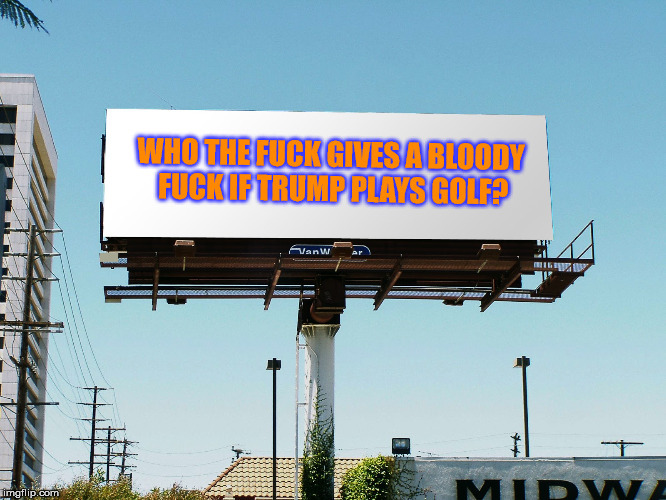 WHO THE F**K GIVES A BLOODY F**K IF TRUMP PLAYS GOLF?